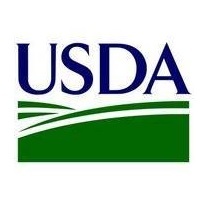 WASHINGTON, Aug. 1, 2018 – (RealEstateRama) — Agriculture Secretary Sonny Perdue today announced that the U.S. Department of Agriculture (USDA) is investing $97 million in 12 projects (PDF, 104 KB) to provide or improve rural broadband service in 11 states. Chibardun Telephone Cooperative, Inc. in Cameron, Wis., is receiving a $21.4 million loan to improve outside plant facilities in four (Almena, Cameron, Dallas and Ridgeland) of its six exchanges. It will construct 675 miles of fiber-to-the-premises and install associated electronics. It plans to build a fiber-to-the-home network capable of sustaining customer demands in broadband connectivity for the foreseeable future. Chibardun serves Barron and Dunn counties. Approximately 2,700 subscribers will receive improved service as a result of this loan. Osage Innovative Solutions, LLC in Tulsa, Okla., is receiving a $2.7 million grant to construct a hybrid fiber-to-the-premises and fixed wireless system in an unserved and economically depressed portion of the Osage Nation in Osage County. The company will offer speeds up to 100 megabits per second (Mbps) download and 10 Mbps upload to 139 households and 22 businesses. This project will give customers access to high-quality telecommunications services to improve economic, education and health care opportunities. Osage will provide a community center where residents can access the internet free of charge.